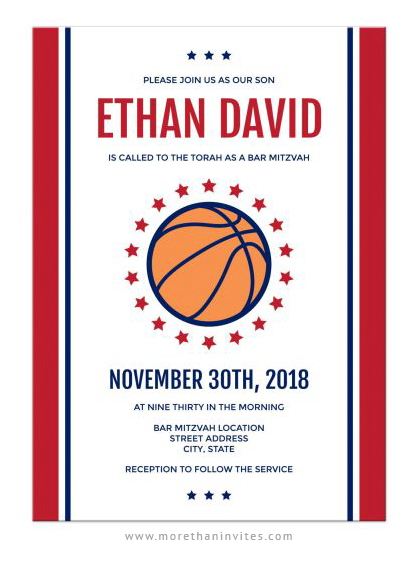 A modern basketball bar mitzvah invitation with red and navy blue, vertical borders and a basketball surrounded by red stars. The design is minimal and contemporary. This invite would be ideal for a basketball or sports themed bar mitzvah. Colors can be changed on request. Matching products include RSVP cards, reception cards and thank you cards. Available from Lemon leaf prints.